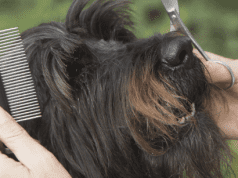 Not so long ago, medicated collars and shampoos were the front-line defence against flea and tick infestation. Now there are a number of far more effective, easier-to-use controls – not only for flea and tick control, but for internal parasites too. But it’s a complicated issue and what’s best for one dog isn’t necessarily best for another. Your best and safest move is to get your Vet’s input about keeping your dog parasite-free. Heartworm is spread by mosquitoes, so even indoor pets can get heartworm disease. The prevalence varies, but this is a classic disease where herd immunity can go a long way towards protecting everyone. 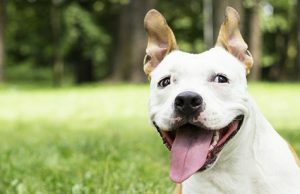 The treatment for heartworm disease is extremely costly and dangerous, so prevention is much better than cure, even if you are in an area where heartworm is rarely seen. Usually heartworm prevention should be started at 8 weeks of age and be given monthly for life. There is also a yearly injection that can be given from 6 months of age (but you must start a monthly tablet at 8 weeks first). If your dog is older than 6 months of age, see your Vet for a heartworm test before starting on a heartworm preventative. 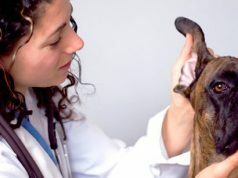 Heartworm in the early stages is not obvious, so if you wait for clinical signs before diagnosing the infection the treatment is extremely costly and dangerous. For some FAQ’s about heartworm visit here. We have several favourites when it comes to heartworm prevention. Panoramis has the same wonderfully fast flea-killing ingredient in it as Comfortis, as well as covering intestinal worms. Advocate is an easy-to-apply top-spot combination, while Interceptor flavoured chew combines heartworm and intestinal worms and fits in perfectly with using the monthly flea and tick preventative NexGard. Dogs have a lovely habit of eating things off the ground, digging in the dirt, licking their bottoms and sometimes just straight out eating faeces. These habits put them at risk of developing intestinal worms including roundworms, hookworms, tapeworms and whipworms. These worms may lead to significant illness such as vomiting, diarrhea and anaemia, or may lead to no obvious problems in the early stages. 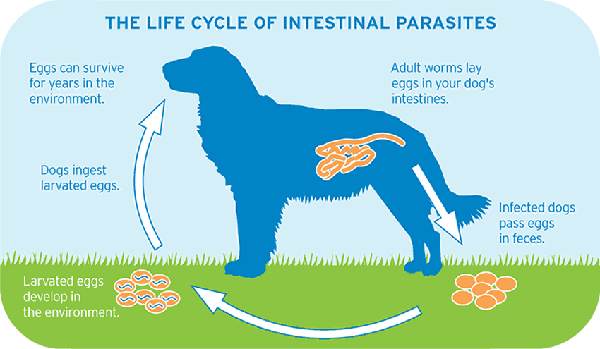 Many of the worms that dogs get are transmissible to humans, particularly kids (who also often eat unusual things and may not effectively wash their hands). Even if your dog is treated for intestinal parasites, ensure your kids always wash their hands after playing with the dog or playing outside. Intestinal wormers should be given every 2 weeks from 2-12 weeks of age, then monthly until 6 months, then every 3 months for life. 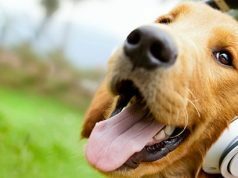 It is safe to give a worming tablet even if your pet is overdue for worming, but if your dog has not been treated for heartworm, just make sure the wormer is safe to use – you may need to get a heartworm test from your Vet first. For intestinal worms, we love Interceptor and Milbemax, as they cover all intestinal worms, even tapeworm. Fleas are tenacious parasites that tend to outsmart us despite the many wonderful preventatives available. 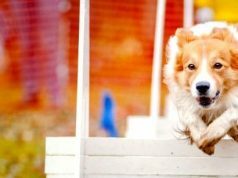 Most fleas live in the environment, not on your pet (only 5% live on your pet), so there a number of things you can do to reduce flea numbers in your environment as well as using a monthly preventative. Flea collars and shampoos are generally ineffective for fleas, so save your time and money and invest in a safer form of control. Using a monthly top spot treatment such as Advocate, or a flea tablet such as Comfortis or Panoramis is the best way to tackle fleas. Or you can combine your flea and tick prevention with NexGard and Bravecto. There are many natural remedies recommended on the internet for flea prevention that are at best ineffective or at worst dangerous. For example garlic is toxic to dogs, as is tea tree oil when ingested as your pet grooms. You are much better off using a product that has been properly safety tested through good clinical trials and actually works. Something that is safe in humans may not be safe in pets, with chocolate being the perfect example. Delicious to humans, potentially fatal to our pets. There are actually almost 900 different tick species, but the tick we really worry about is the paralysis tick, found along the coast from spring to autumn. 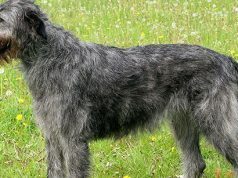 There are also other types of ticks that parasitise dogs, cause anaemia and spread disease. These are more a problem in semi-rural areas. 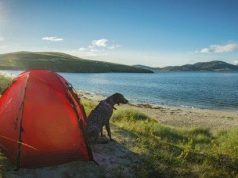 Ticks can either attach directly onto your pet while walking near shrubs and bushes, or be carried into your yard or home on clothing, beach towels or wildlife. Paralysis ticks require fortnightly prevention with Advantix or tick collars. We do absolutely love the new tick preventatives available, NexGard and Bravecto too. NexGard is monthly, so combines well with Interceptor (for intestinal worms and heartworm), while Bravecto is every 3 months, so combines well with Milbemax every 3 months and the yearly heartworm injection. Whatever you use, doing daily tick searches is necessary, as no product is 100% safe and it only takes one tiny tick to cause a problem. 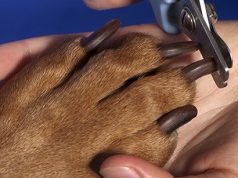 When you tick search make sure you check between the toes and in your dog’s ears. Paralysis ticks generally need to be attached for at least 3 days in order for the female to start injecting the toxin and most dogs become ill around day four of tick attachment. If you find a tick, take the tick (for identification) and your dog to the Vet immediately. Parasites are a part of life and while many cause no problem in small numbers, it is when they get out of hand that they can cause disease. 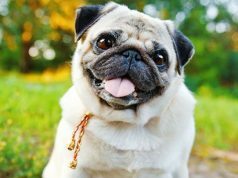 Because dogs live very closely with their human companions and some of their parasites are transmissible to us, particularly to our children, elderly or immunosuppressed, prevention of parasitic diseases is an important part of pet ownership. The following table details the parasites and common products used to control them and the spectrum of action of each so you can make an informed choice about what to use. 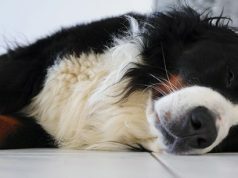 The reality is that no one product does everything, so you will need to use a combination of preventatives to ensure the optimum health for your pet. We recommend two different parasite programs for dogs. We think keeping it simple and safe makes sure your pet stays healthy and nothing is forgotten. 1. Interceptor and NexGard – which are both monthly flavored chews. This option is pretty convenient since you just need to give something once every month to cover worms, ticks, fleas and heartworm. 2. Proheart yearly injection with Bravecto for fleas and ticks every 3 months and Milbemax for intestinal worms every 3 months.